Your dog needs to have rest after playing and learning commands. It sleeps 5 minutes up to level 10 (inclusive). 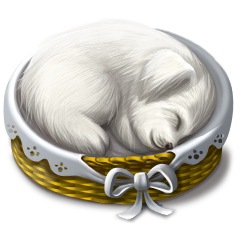 Starting from level 11 your pet sleep time will increase by 5 minutes with each new level.